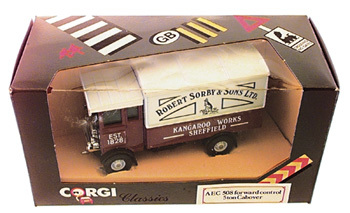 A "Robert sorby & sons toy truck, No. C897/4, by Corgi Toys, Ltd., Swansea (England). cast iron body. new condition/original box.